Fleas are a perennial problem in pets. Proper sanitary measures can reduce the prevalence of flea infestation but these annoying pests manage to recur in spite of precautions. Flea eggs and larvae are more of a problem than adult fleas. It needs a lethal remedy to fight this menace and various topical spot-on solutions available are just the right thing to do. 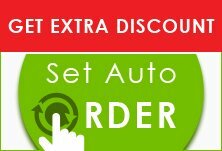 Activyl for Dogs is one such product from Merck that addresses the flea problem. A onetime application every month provides complete protection against adult fleas and its larvae and eggs, effectively preventing flea reinfestation. The active ingredient, Indoxacarb in Activyl acts using a process that reacts with flea’s own enzymes. The active ingredient spreads through the pet’s skin. As soon as a flea bites the pet, it also absorbs Indoxacarb which when reaching the flea’s gut changes the enzymes. This is what called bioactivation - the flea dies due to the paralyzing effect of the ingredient. 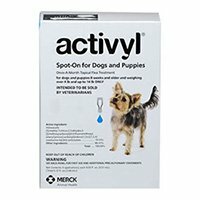 Activyl is the perfect solution to kill fleas from my dog. It has also shown a great effect by restricting the reinfestation of fleas in my dog.